The Sylvania BriteBeam family comprises a range of short arc metal halide lamps for professional studio, television and filming applications. They employ transversally-mounted arc tubes which are pre-focussed into sealed beam reflectors for optimal performance & convenience. A range of 200W, 575W and 1200W was produced in PAR36, 46 and 56 sizes. 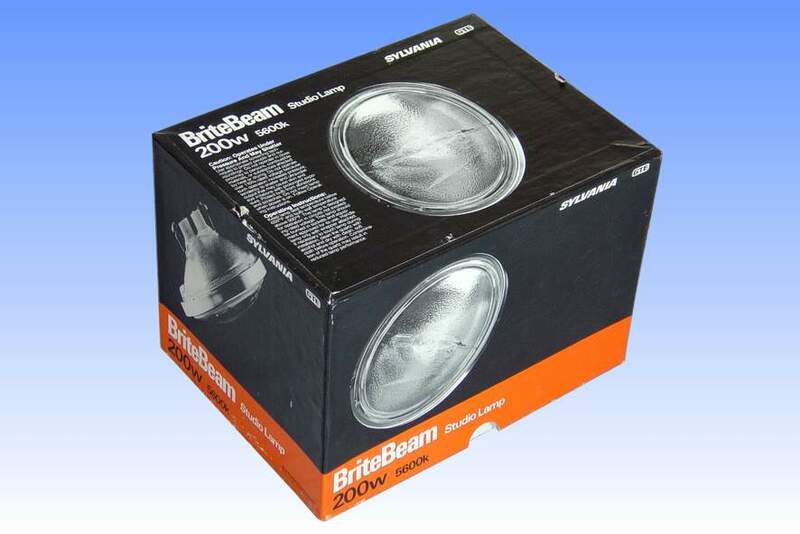 All BriteBeam lamps were supplied as an outstandingly well presented 'kit', with a selection of various front lenses such that the beam shape could be varied. 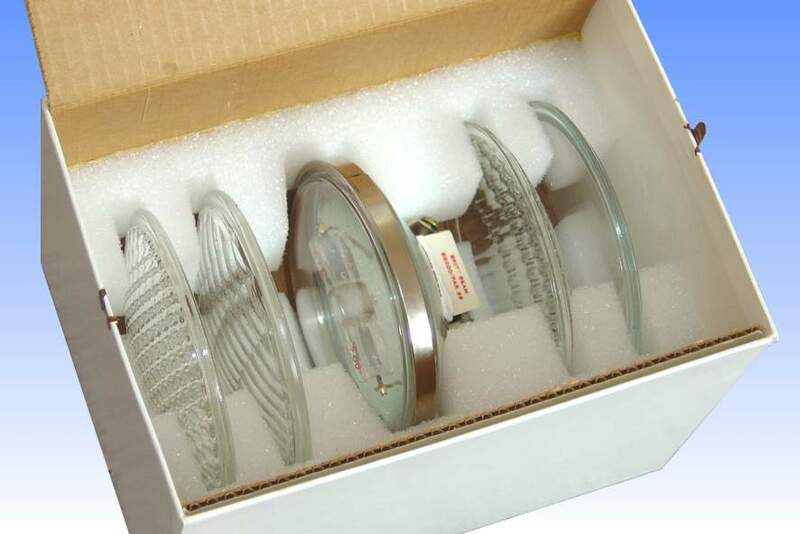 A clear front lens is incorporated in the lamp itself, this delivering the narrowest beam, which can be spread with the aid of the other lenses. 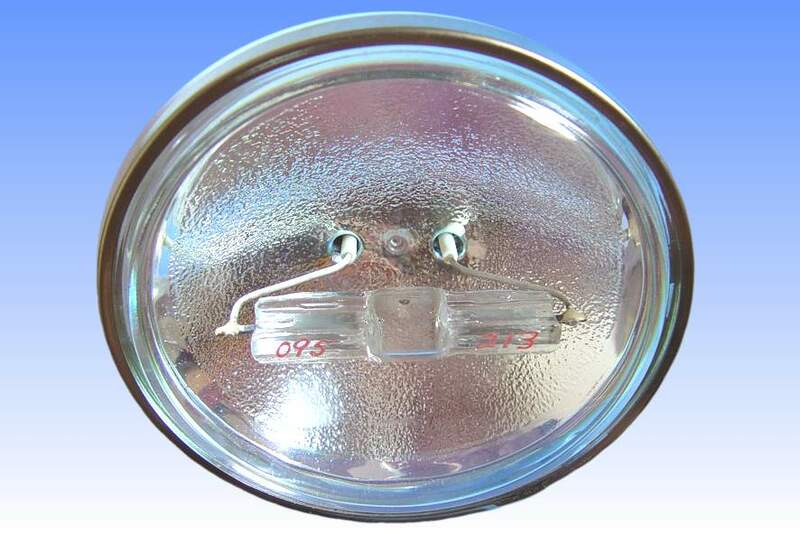 This 200W lamp was the smallest and last addition to the range, and was introduced in 1984. It was created as an efficient, compact and lightweight daylight fill source for electronic news gathering applications. 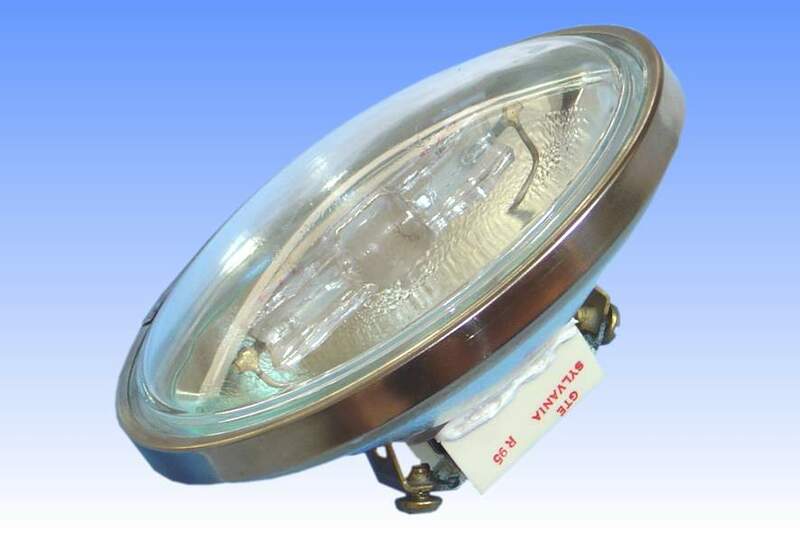 Offering three times more light than an equivalent halogen product, less battery drain, a cool beam from its dichroic reflector and hot restrike capability, it was a very successful development. 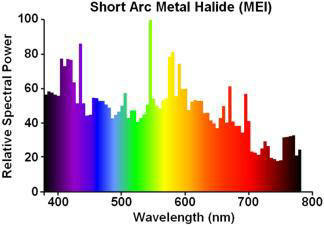 BriteBeam lamps have a unique beam colour resulting from the colour inhomogeneity in the arc. The centre of the beam is considerably bluer than the periphery, but this effect diminishes with age as the arc tube devitrifies and becomes opaque, acting as a diffuser. The beam angle broadens with age as a result of the same process. Colour separation in the beam can be minimised with the wide angle front lenses. BriteBeam lamps have been made obsolete as the preference today is for the increased efficiency arising from single ended lamps with axial arcs in external reflectors. References: 1) Sylvania BriteBeam 200W/PAR36 Product Information Bulletin, STTV-16, March 1984. 2) Sylvania BriteArc and BriteBeam Colour Facts Bulletin, STTV-146.